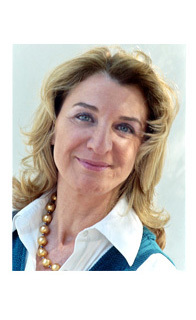 Sophie Duriez, M.D., aka Dr Solution, is a one of very few Solution Focused Psychiatrists in America and Europe with over 20 years of clinical experience. Solution Focused (SF) Brief Therapy is a creative, present and future oriented style of talk therapy. The SF therapeutic process takes care of the problem at hand, but also emphasizes your natural resources and skills (“Ego Strengths”). Based on these “ego strengths”, a specific goals achievement plan is collaboratively designed. This allows you to rapidly move on to your better desired future. Medications are prescribed only if needed and always within a carefully agreed treatment plan. These interventions are strictly confidential, with a client-centered focus that is, efficient, caring, and non-intrusive. You will find that these sessions are gentle and positive with a refreshing, collaborative approach.